I have never been to the Snowy Mountains. Each winter, I would turn on the news and see the weatherman reporting from the snowy fields. I’ve always wanted to make a snowman, have snowball fights, and watch snowflakes falling from the sky just like the scene from When Harry Met Sally. The opportunity finally came up this winter and I grabbed it with both hands. 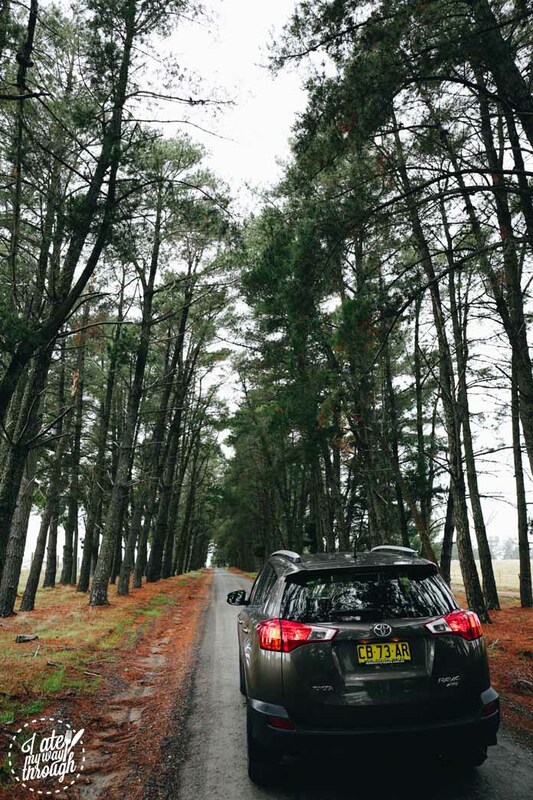 Over the next week, I will be sharing my experience in a three-part series to the New South Wales Snowy Mountains road-trip. In today’s post, I will go through all the things we did before we reached the Snowy Mountains (and there’s more to it than just stopping by McDonald’s drive-through). Part Two will be a comprehensive guide on Thredbo and in Part Three we will venture to Charlotte Pass deep inside the Mt Kosciuszko National Park. Jen and I woke up early on the Thursday morning, eagerly excited to go on our first snow adventure together. A quick Uber trip to the Sydney Domestic Airport and we were soon on our way to Canberra. 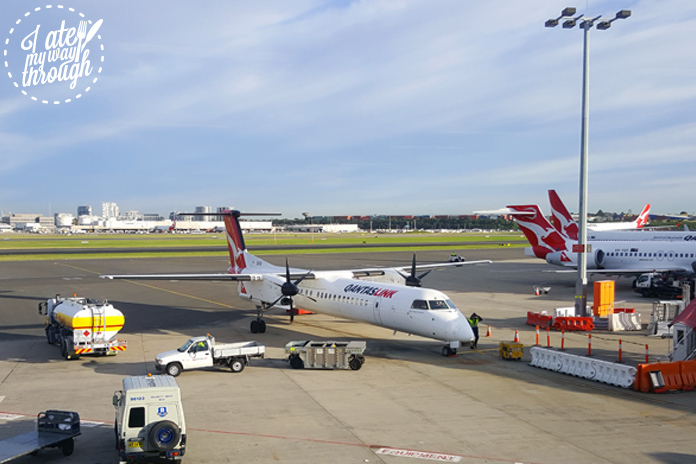 The flight time to Canberra was just under an hour on a Qantas Dash 8-400. The trusty twin propeller plane was comfortable, with a two seat by two seat configuration. A short take off and cruising altitude of 25,000 ft (7,620m), we took in the views of the Southern Highlands. 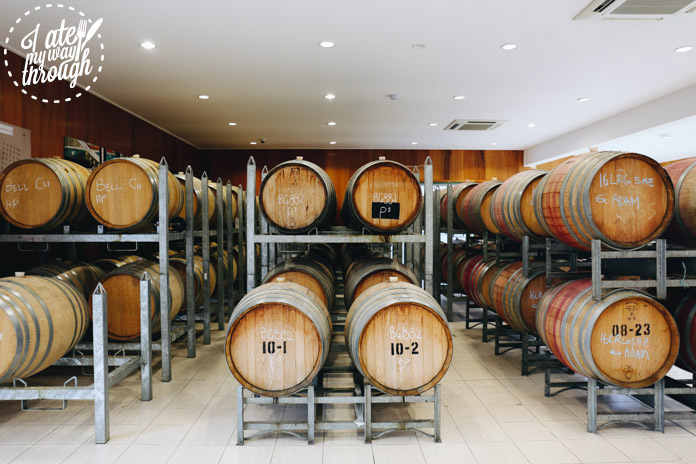 We picked up our car rental, a Toyota RAV4 from Hertz and soon we were cruising up north and heading back into NSW to the Murrumbateman wine region to check out some of the cool-climate wineries. Murrumbateman is located in the Southern Tablelands of NSW and is approximately 30 kilometres north-west of Canberra. Located just off the Barton Highway at Murrumbateman, Clonakilla was our first stop. 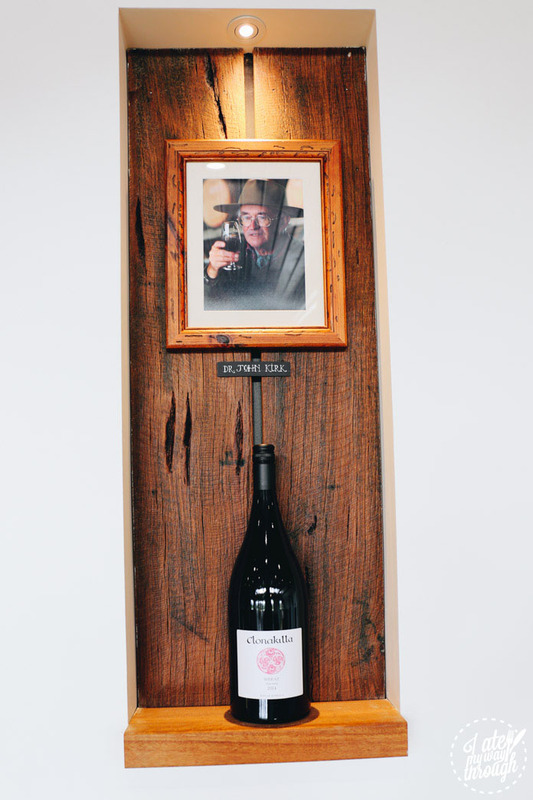 Clonakilla was founded by John Kirk when he planted the first vines in 1971. 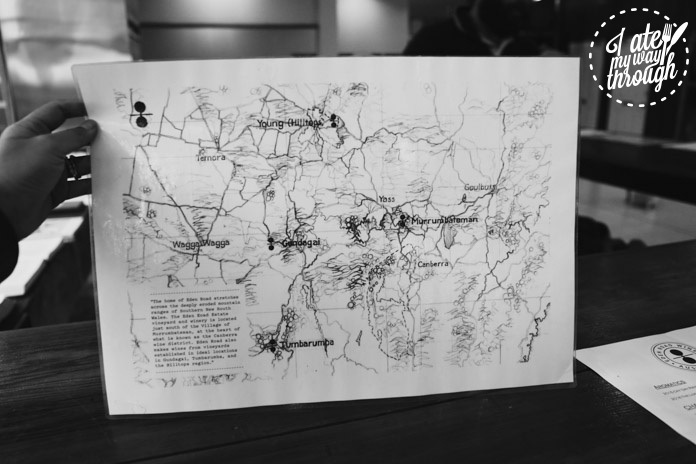 Commonly known as the father of the Murrumbateman wine region, John was an Irish migrant who relocated to Canberra as a scientist working for the CSIRO in the late 60s. Fast forward 45 years and the winery is now run by Tim Kirk (one of John’s five sons) as head winemaker (Gourmet Traveller Wines’ Winemaker of the Year, 2013). 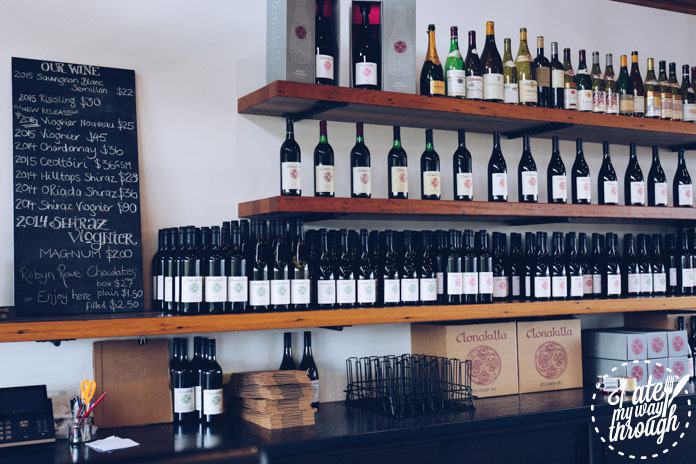 Clonakilla is a family business dedicated to producing distinctive, hand-crafted wines in limited quantities. 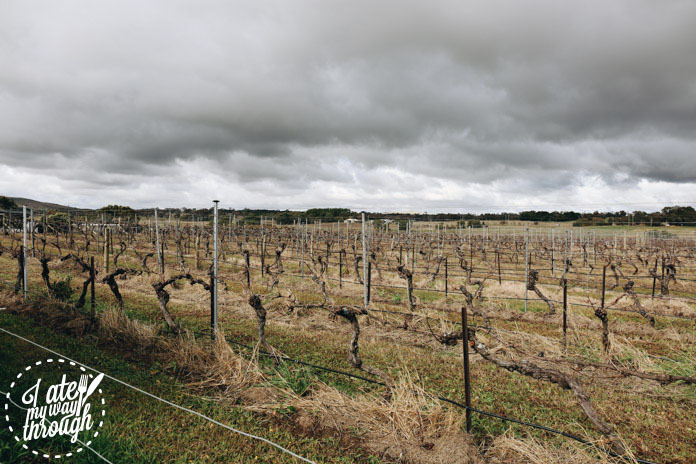 Due to the location of Murrumbateman, the wines produced in this region are known as cool-climate wines. In cool climate regions, the colder temperatures at night slows down the ripening of fruit and generally preserves the acidity. 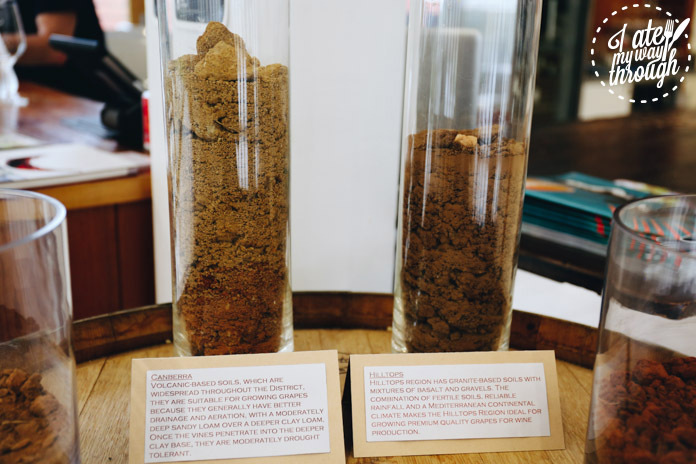 It is this unique combination of grapes, soil, the undulating landscape and the cool climate that has allowed Clonakilla to produce some of the finest wines in Australia and they have the awards to back it up as well. 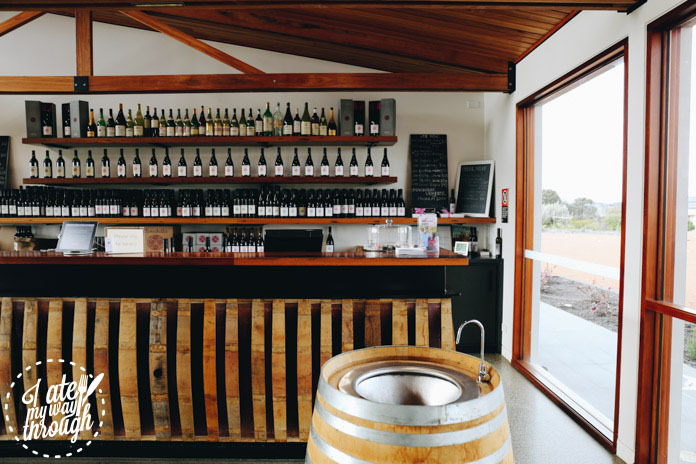 One of the first things we noticed as we pulled up to winery was the newly opened cellar door. 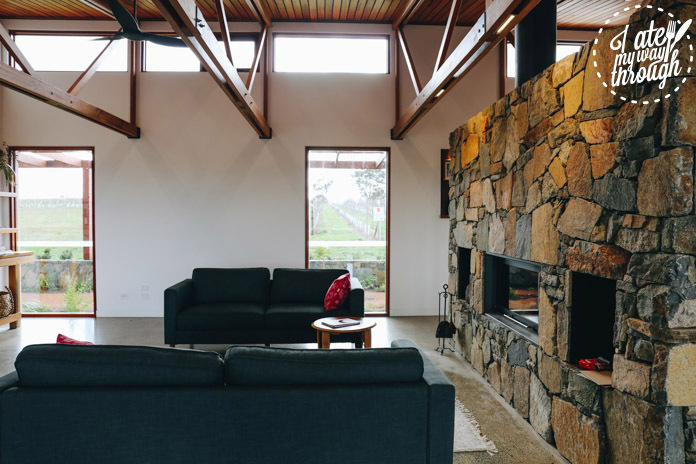 Architecturally designed, it offers a spacious, warm and cosy place to taste some fine wine! 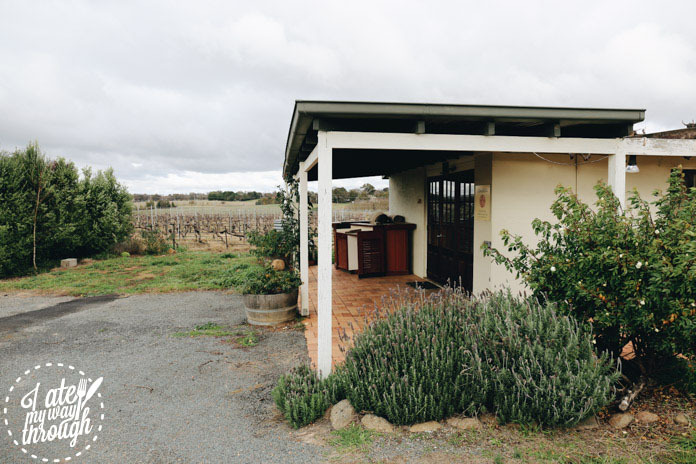 Compare to the old cellar door (which was used until March 2016), it’s a massive step up and now offers plenty of space including outdoor seating (which is sure to be popular during the warmer season). 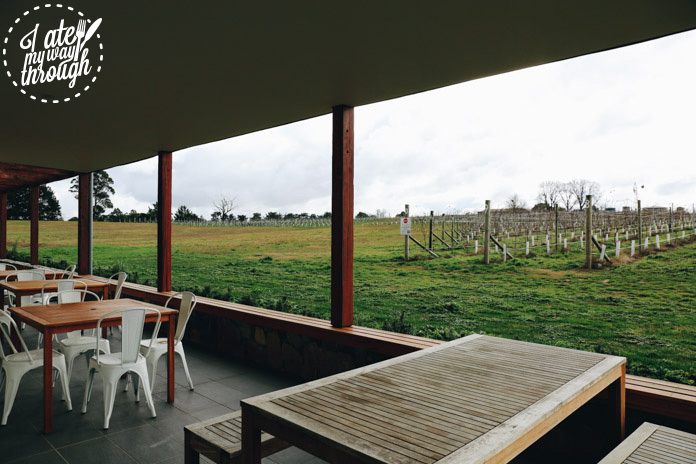 The interior of the new cellar door fits seamlessly into the natural landscape of the winery. The room basks in light with expansive windows and high wood panel ceilings. The centrepiece is undoubtedly the fireplace, an impressive tetris-like configuration of natural stones. 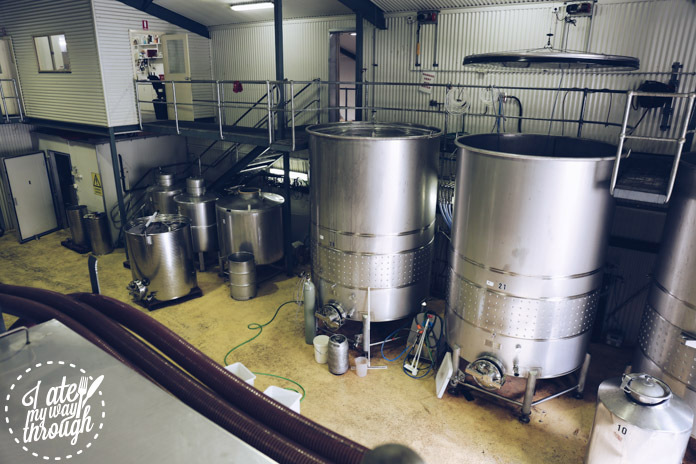 We were given a tour of the wine making process by David Reist, Sales and Marketing Manager. David generously shared his knowledge and spoke at length on how the wines are made at Clonakilla and the types of oaks that they use. 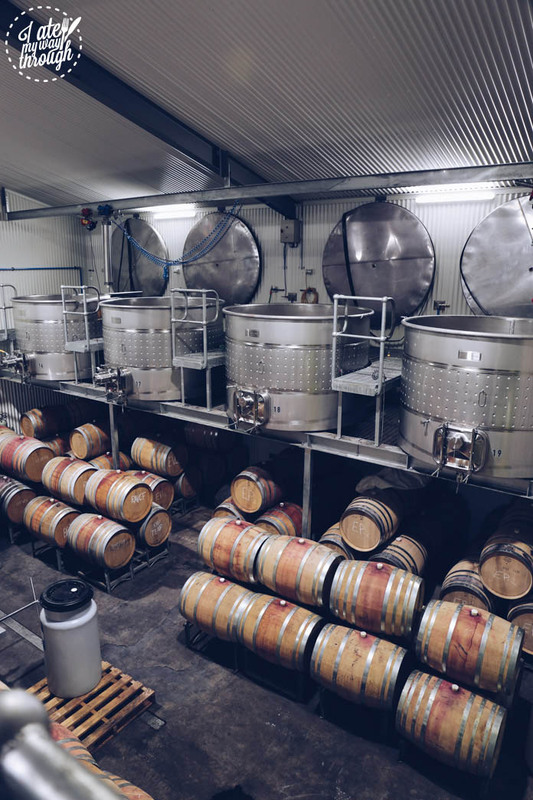 Unsurprisingly, Clonakilla uses high quality French oak barrels to age their wine and we were informed that a barrel can cost up to $3,000 and most of the time, they’re only used for a few batches before they are discarded. There are certainly no shortcuts taken to producing fine wine! 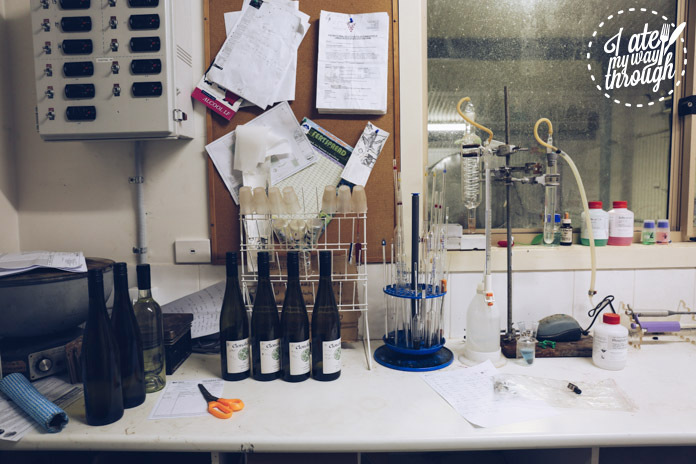 Making fine wine is an art…and science. 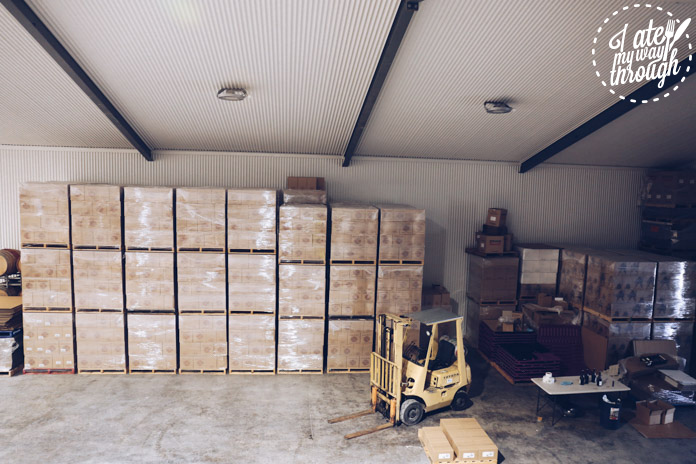 Wine is tested many times before the final variant is produced. Testament to the quality of Clonakilla, their reds are served on the first class of Singapore Airlines and Emirates and as David said with a smile, it’s always interesting when passengers of first class rock up to the Clonakilla cellar door after discovering it on a flight. After a tour of the wine making process, the anticipation was high and I was eager to taste the range of wines on offer. The wines were very smooth on the palate and as far as cool-climate wines go, the reds of the Shiraz and Shiraz Viognier produced fragrant softer notes and yet held the punchy bold flavours of berries. 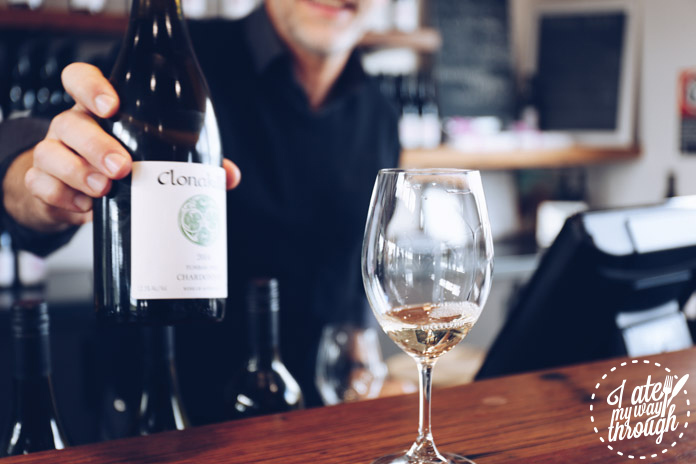 The signature wine of Clonakilla is the Shiraz Viognier (2014 Shiraz Viognier, $90), if you are a lover of red wine, this is a something special! 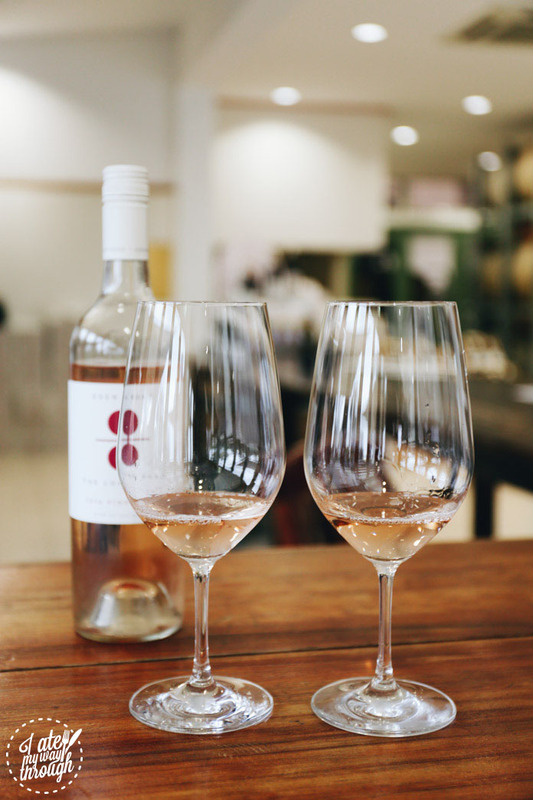 Choose from a wide selection of wines to taste… or stock up at home. Our next destination was lunch at Flint at Shaw Vineyard. Located a short 10 minute drive from Clonakilla, we were there in no time. The restaurant was busy for a Thursday afternoon (I guess the secret is out?) and after sitting at our table, I was keen to kick on with my wine tasting and ordered a glass of the Shaw Vineyard Estate Shiraz. 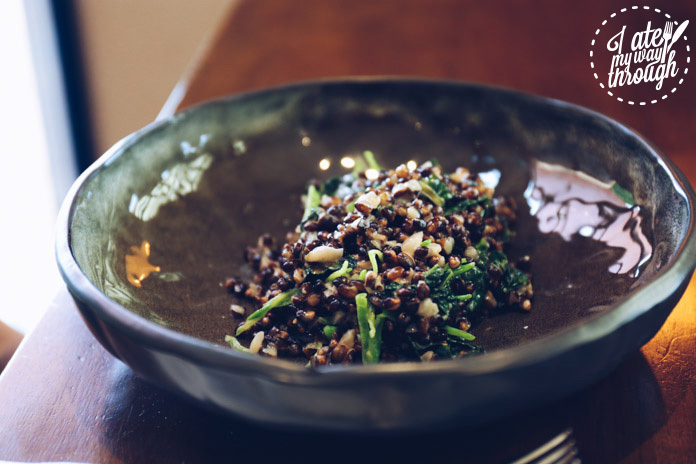 For entree, I had the Black Risotto ($16) which was served with black pearl barley, cavolo nero, snow pea, washed-rind cheese and white truffle oil. The risotto was texturally pleasing, the perfume of the truffle oil and washed-rind cheese instantly won me over. Jen had the spiced prawn sausage ($18), served with bean skordalia, fennel & orange salad and chorizo oil. The prawn sausage had a juicy bouncy bite and the fennel & orange salad provided good balance of acid and flavour. 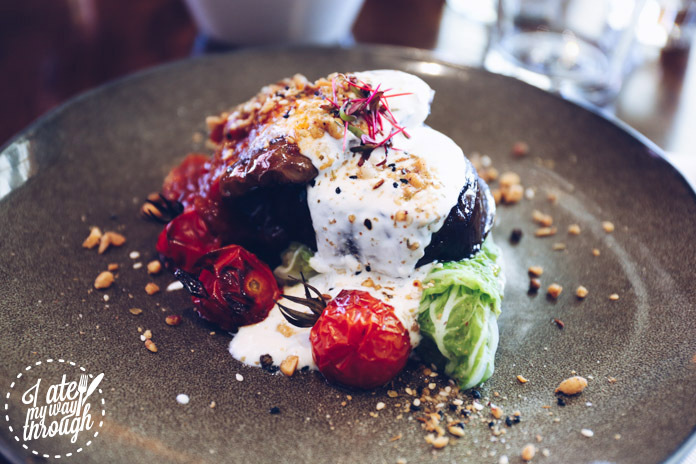 For our mains, Jen had the vegetarian option of baked eggplant ($26), served with fig stuffed cabbage roll, truss tomato, chili jam coriander raita and dukkah spice. If you want something a bit lighter, then this was a great option. It had big punches of flavour and the pairing of fig and tomato provided both sweet and sour notes. 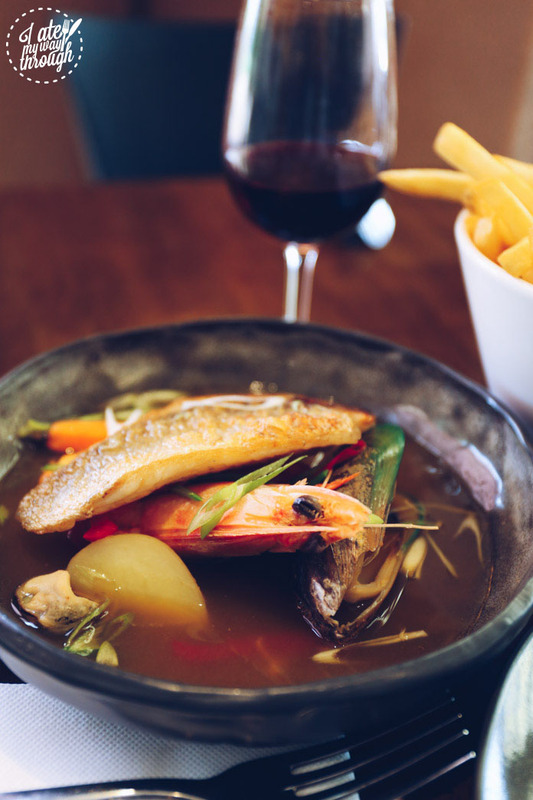 As a massive fan of bouillabaisse, I had the get the ‘Flint’ Bouillabaisse ($33), it was served with barramundi fillet, mussels, tiger prawn, seafood broth, chat potato and vegetables. The broth was clean, although not as intense as I would have liked. However, the abundance of seafood made this a nourishing and hearty choice. 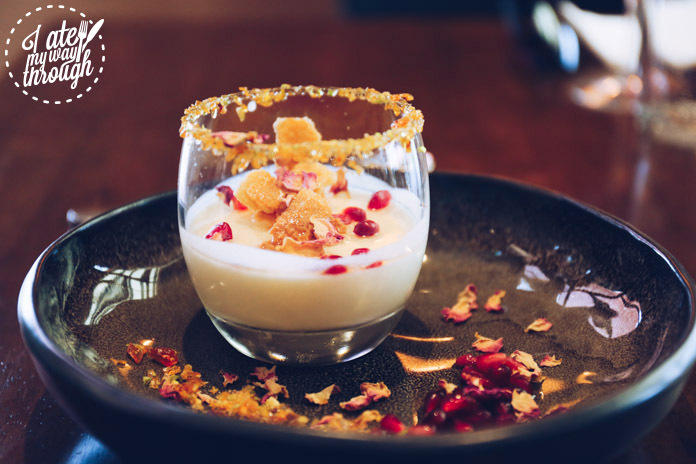 We ordered the yoghurt panna cotta ($16) for dessert which was served with mahleb syrup, tahini shortbread, pomegranate and dried rose petals. The panna cotta had a beautiful tartness from the yoghurt base and the texture was firmer than what you normally expect from panna cotta but nonetheless, we loved the Middle Eastern twist. Overall, Flint is a great spot for lunch in between wine tasting. With our bellies now satisfied, we were ready to venture onto the next stop — more wine tasting! 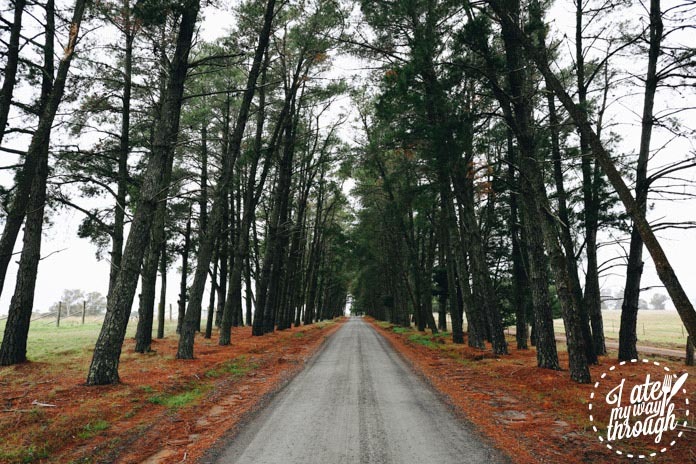 Located 7 minutes away from Shaw Vineyard Estate, and just off Barton Highway, the entrance to Eden Road Wines features a mesmerising stretch of tall trees shadowing from both sides of the road. 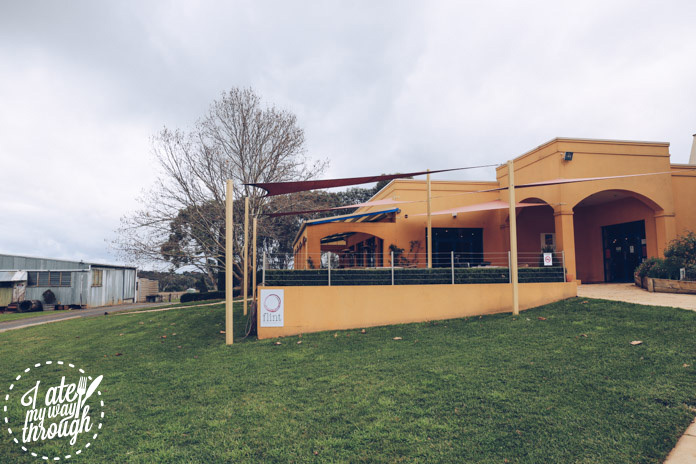 We subsequently learned that the entrance depicts what Eden Road Wines is all about and as featured on their logo, a road divided by Tree of Life and the Tree of Knowledge. 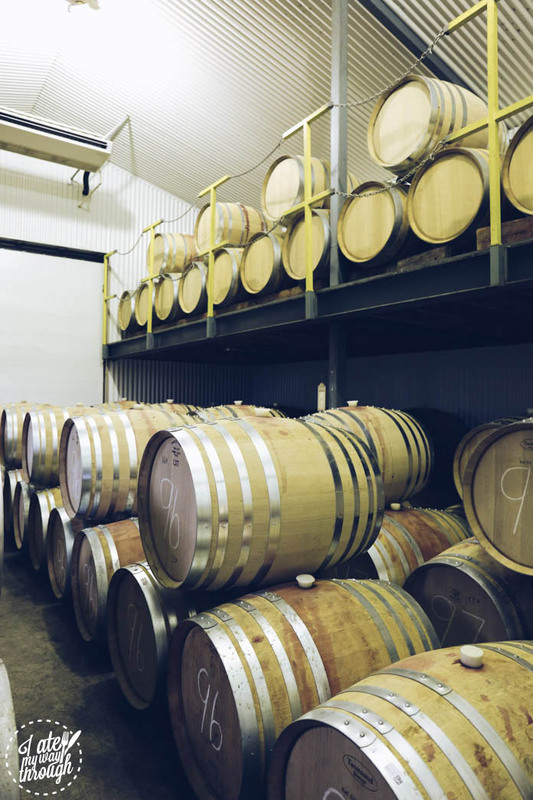 In terms of wine making, Eden Road Wines is seen as the new kid on the block. However, this does not mean they don’t have any substance to back up. 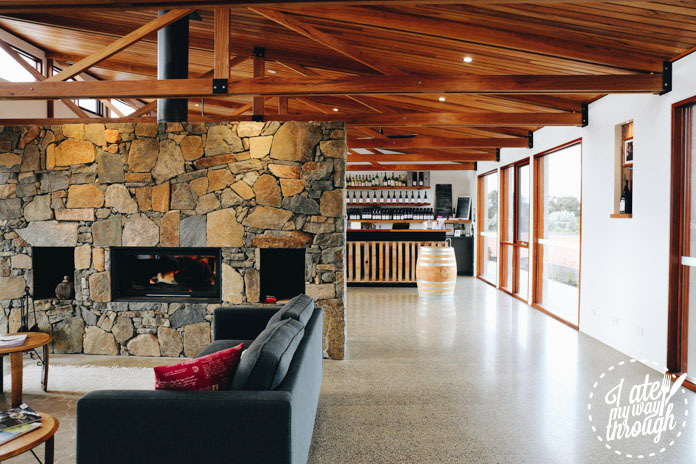 They won the Jimmy Watson Trophy for its first release Long Road Shiraz in 2009 and instantly got the attention of wine lovers and critics around the country. Which wine should I pick? 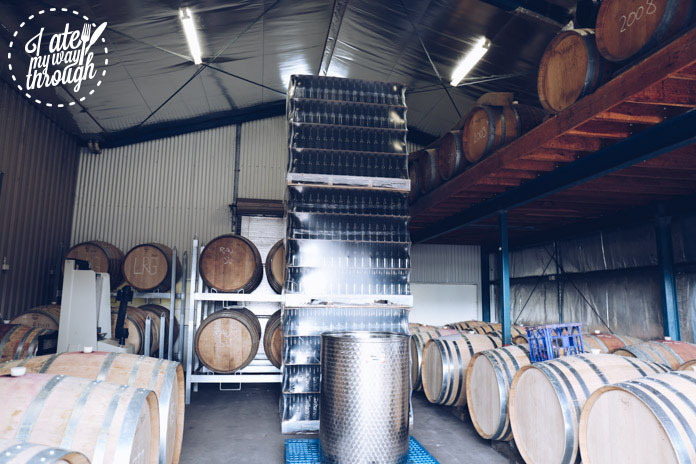 Eden Road Wines produce their wines from grapes sourced across the greater Canberra wine region. 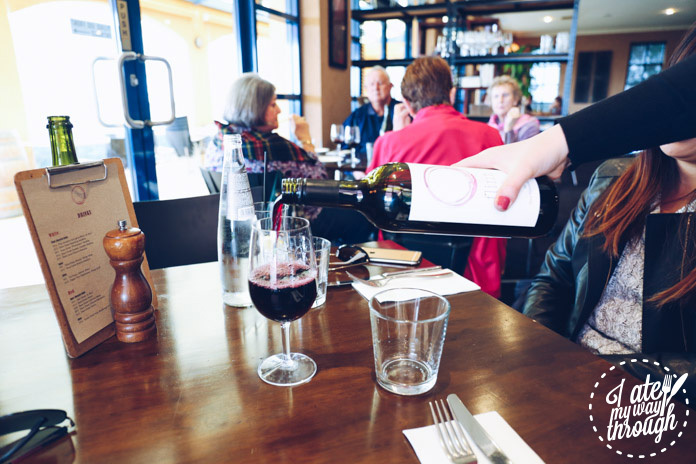 This includes the chardonnay and pinot noir from the High Country around Tumbarumba and the Hilltops region and the premium Canberra Syrah from Murrumbateman. They also embrace the fruits from Gundagai, producing the 2011 Nebbiolo. Home to about 16,000 across Yass Valley, Yass is a great town to stop over to get a good night’s sleep before trekking down to the Snowy Mountains. 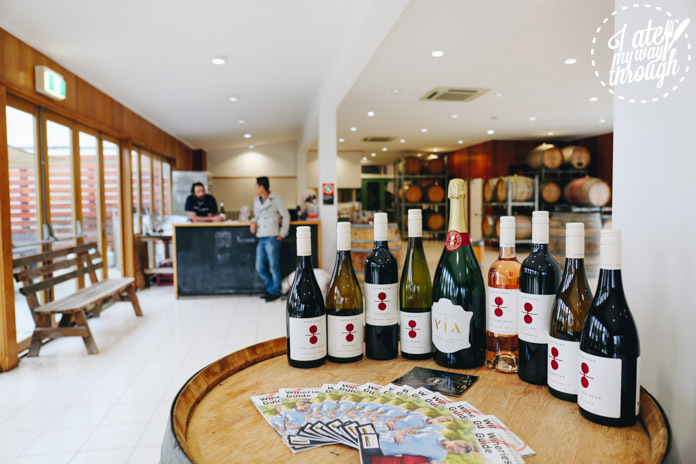 It’s about a 45 minute drive from Canberra and only 15 minutes from the Murrumbateman wine region or for those driving down from Sydney, it’s just slightly over a 3 hour drive. We arrived at sunset and were warmly greeted by David Small and Greg Miller, who are the owners and custodians of The Globe Inn, a boutique bed and breakfast accommodation. 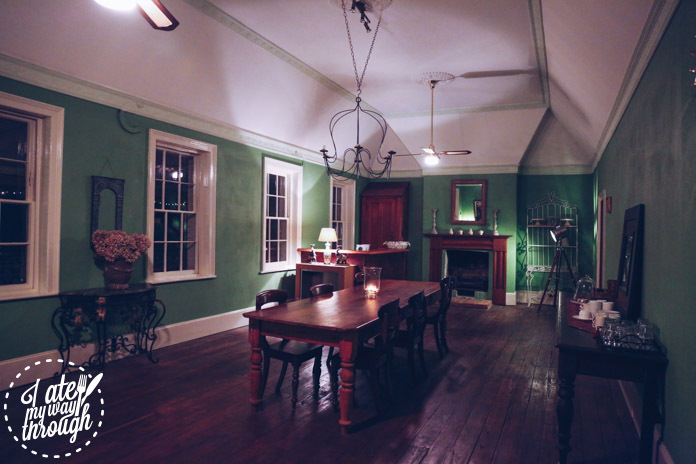 Built circa 1847, the space has maintained its historic charm and Georgian features. 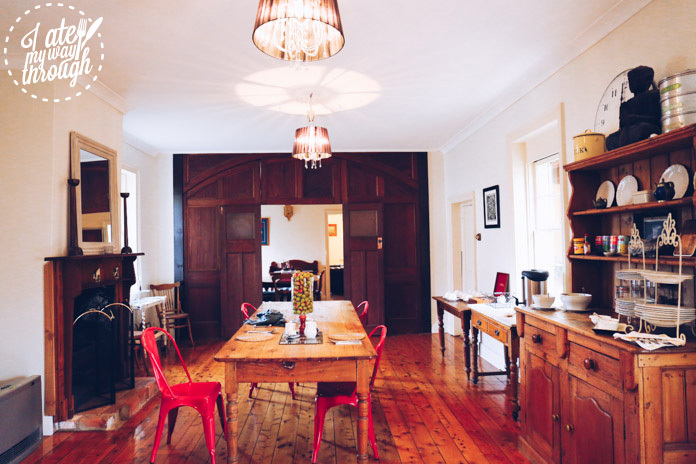 David and Greg were both wonderful and very friendly, having swapped the city lifestyle for the relaxed atmosphere of country NSW. 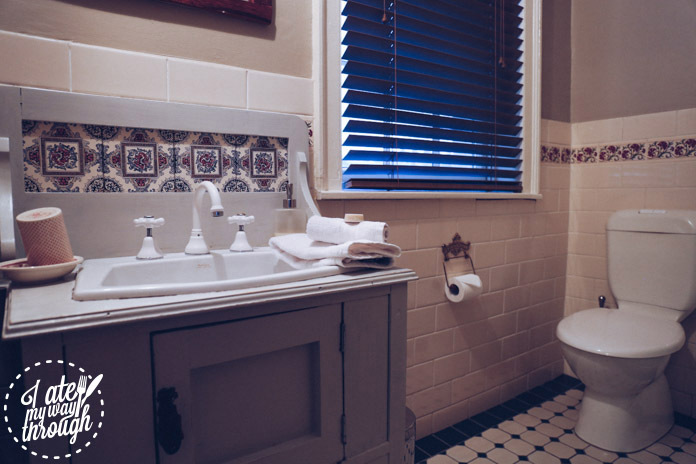 There are five bedrooms in total at The Globe Inn, all with ensuites and there is a very large verandah for those wanting to enjoy the peacefulness of Yass while sipping on a glass of wine. We were the only guests for the night and felt lucky to be staying at a place with so much history and character. 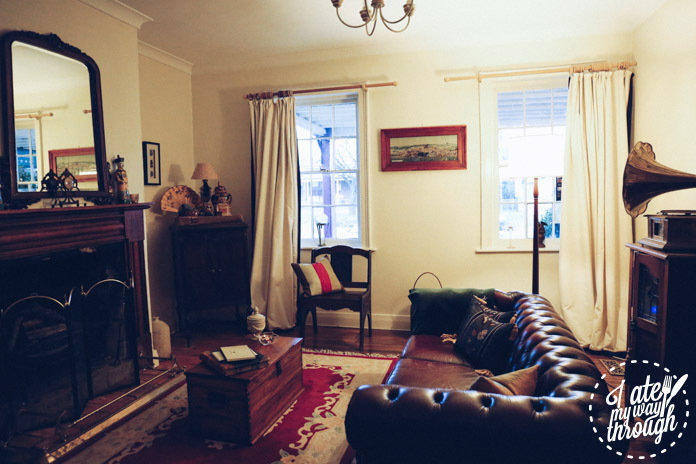 There was a fire place to enjoy at night and plenty of space to make a coffee or tea in the lounge area on the first floor. 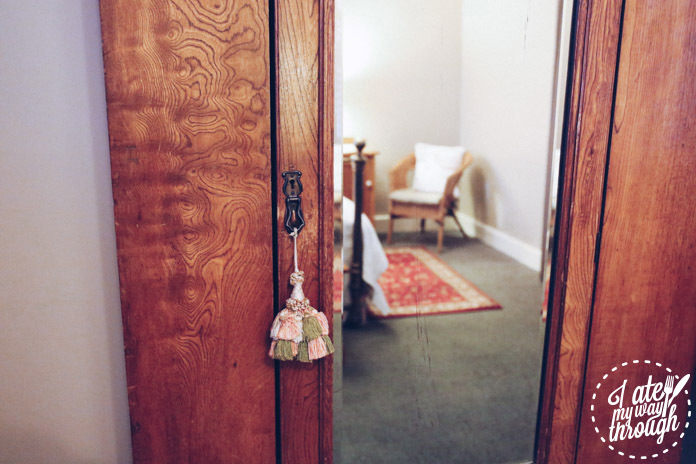 Our room was fitted with an electric column heater — usually this isn’t something that we take notice of, but in 6°C temperatures, you’ll be glad it’s there. The charms of the Georgian architecture were alive and well and even the hinge on the windows were originals from when the building was built! Although The Globe Inn has evolved over the years, one thing that definitely hasn’t was the character. 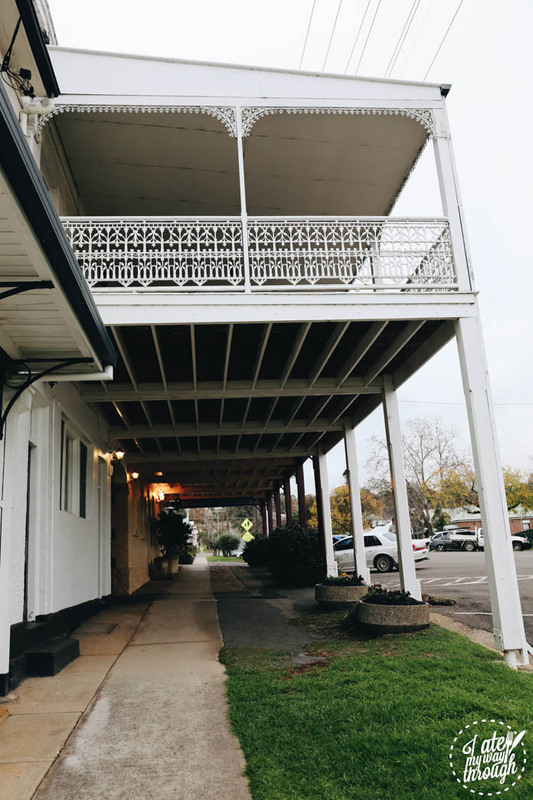 With so much history it is hard to explain it in a few words, however for those interested in history, the story of The Globe Inn began with the arrival in NSW of Charles Quail, a convict in the 1830s. In 1843 Charles Quail was granted a liquor licence for the Swan Inn and by 1847 the licence was transferred to The Globe Inn (and by 1849, called The Globe Hotel). The Globe Inn was used for many functions (from meetings, balls and theatrical to auctions of horses, drays and other goods) and had changed hands many times over the years. 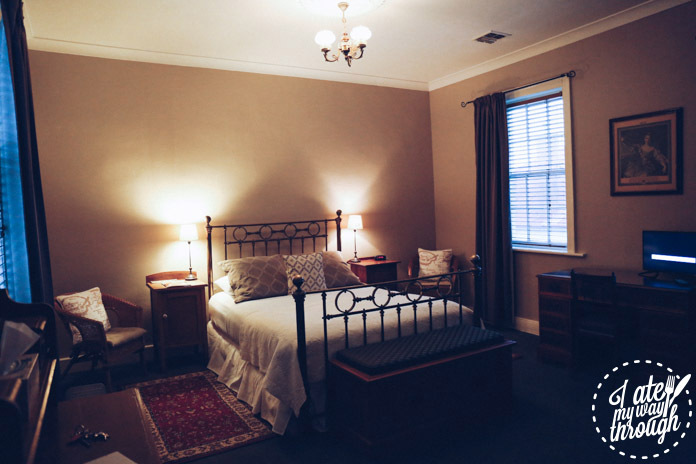 It was licensed until the late 1800s and since then it was used as a boarding house, a block of flats, a private residence and in its present form – a bed and breakfast. 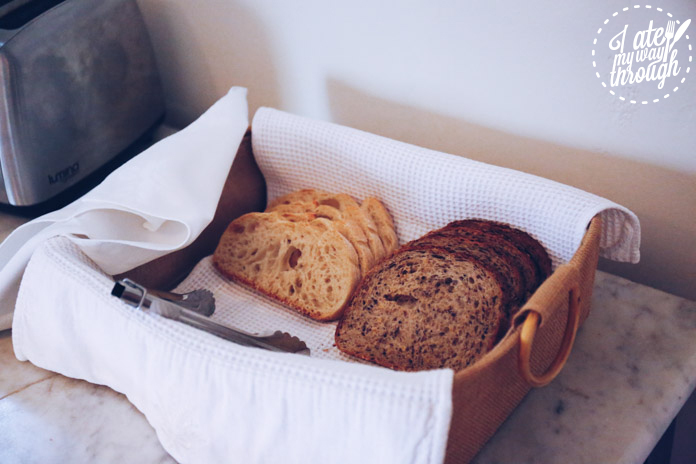 With the number of B&Bs on the rise due to the popularity of Airbnb, the breakfast at The Globe Inn is one of the best B&B breakfasts we’ve ever had. As we were the only guests for the night, we had the whole dining room to ourselves. 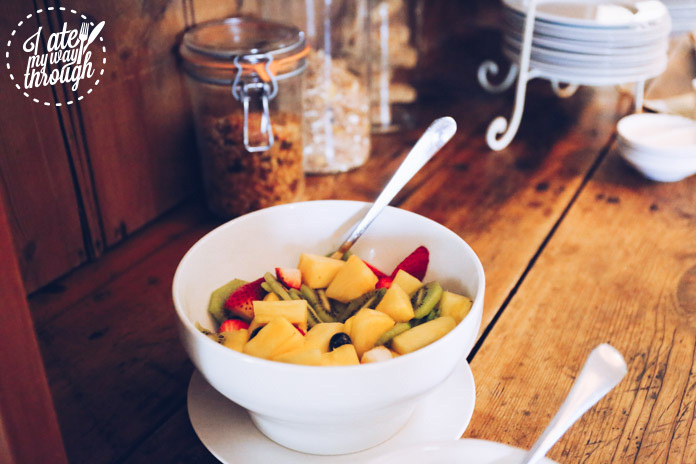 We placed our order with Greg and helped ourselves to the coffee, fresh fruit, cereal and bread. Jen had the scrambled eggs with bacon, tomato and mushrooms and I had the same except for bacon I decided to have the smoked salmon option. 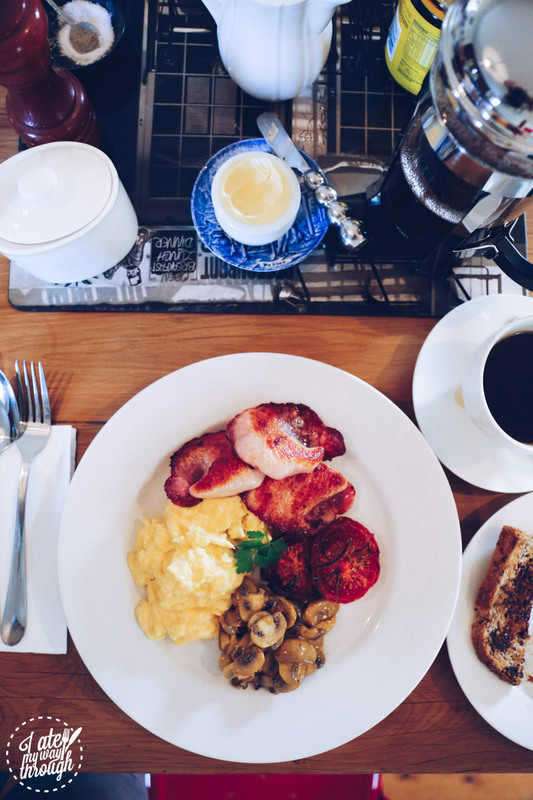 The eggs were perfectly scrambled and the mushrooms were to-die-for; as much as I tried to get the recipe off David who cooked the breakfast, it remains The Globe Inn recipe secret! 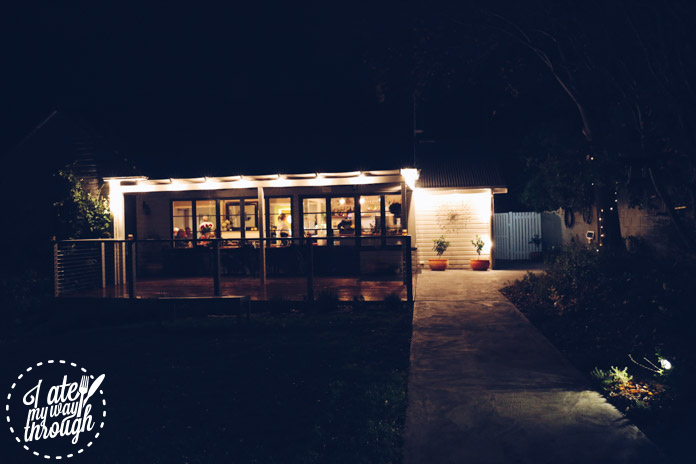 Opened in late 2015, Clementine Restaurant has built up quite a reputation in Yass. 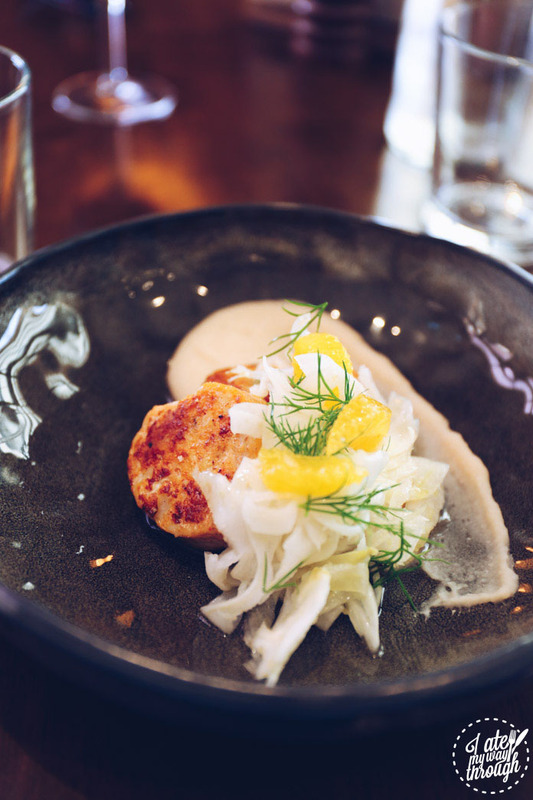 The unlikely location of a European style bistro is what makes this restaurant such a gem. 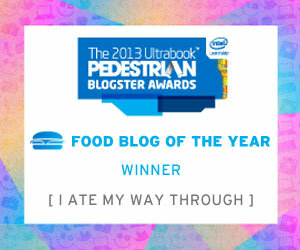 The chilly winter weather may have gotten to our heads as we suddenly had a ravenous appetite. 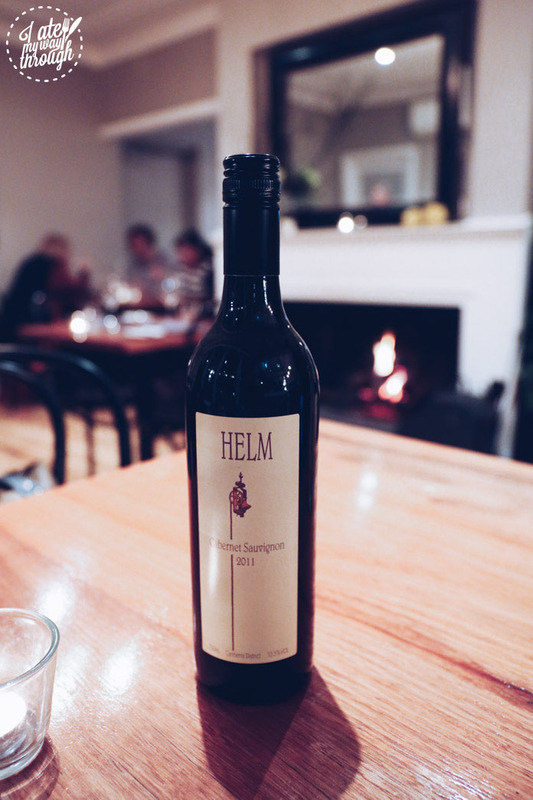 Sitting beside the cosy crackling fireplace, to continue the theme of wine tasting, I had a glass of the Helm Cabernet Sauvignon 2011, a locally produced wine in the Canberra wine region. For entree I had the poached Murray cod ($20), served with pumpernickel, baby beetroot and horseradish. 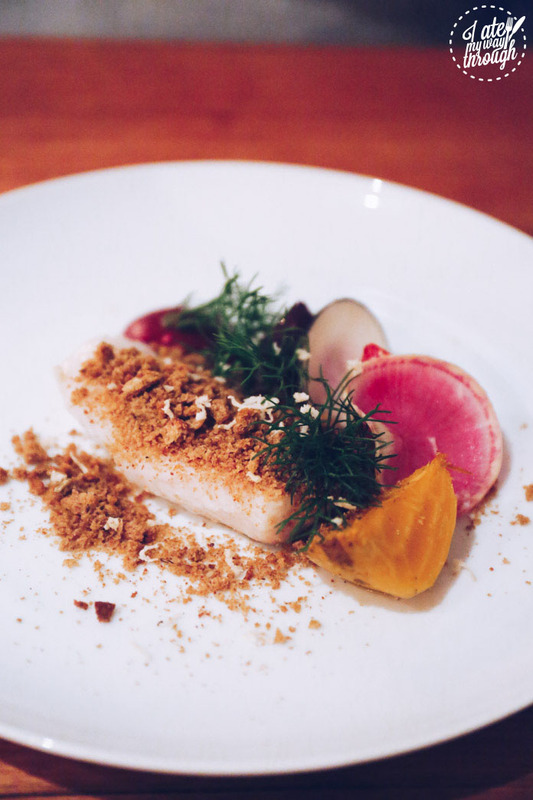 The cod was perfectly cooked and the combination of flavours from the root vegetables accentuated the dish; it definitely possessed some technical finesse. Jen had the ravioli of braised beef cheek ($19), served with broad beans, lemon & mahon cheese. 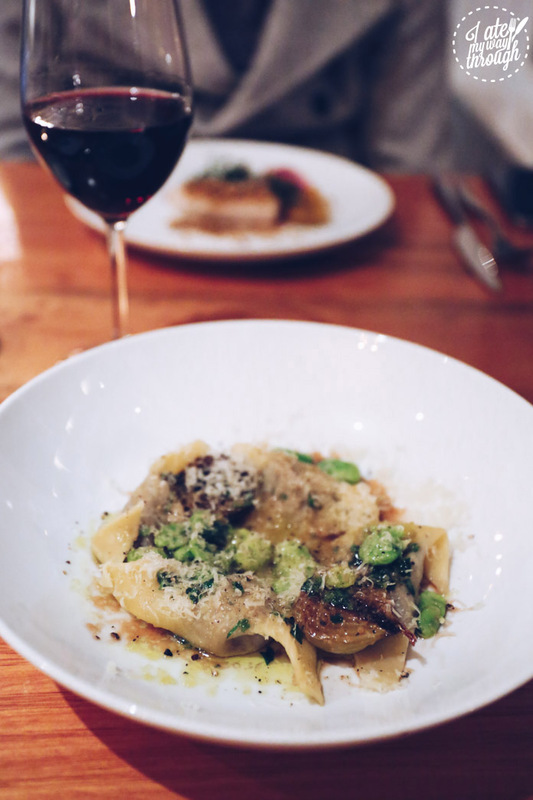 The housemade ravioli was exquisite – there was a beautiful bite to the pasta and basically every element on the plate hit the spot. 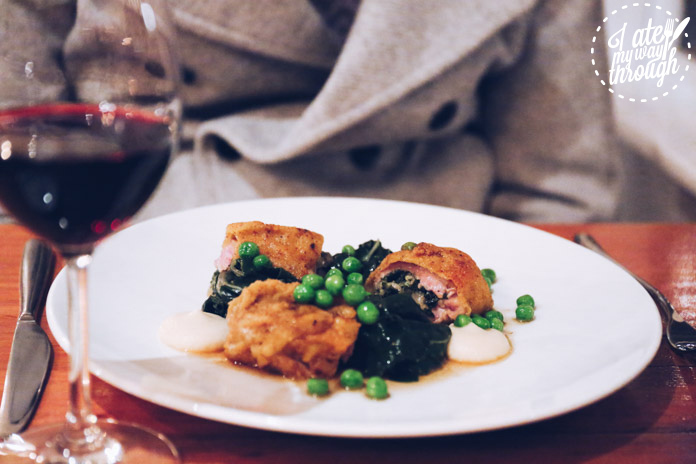 For mains, I had the crumbed veal involtini ($30), served with celeriac puree and peas. The veal was ever-so lightly crumbed, enough to offer the requisite crunch and not too thick to overpower the veal. The simple additions of the greens made it a balanced, refined main course. Jen uncharacteristically ordered the cassoulet ($31) of duck leg, smoked pork, beef cheek, white beans and pork sausage. 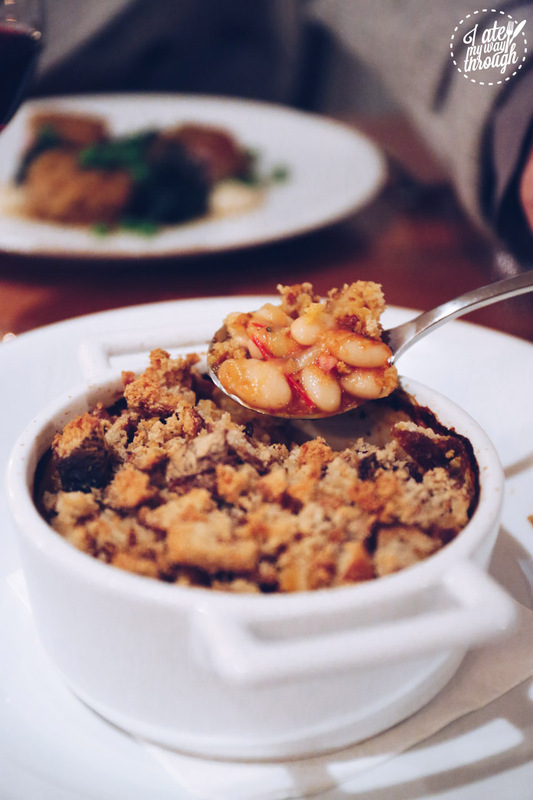 Perhaps countering her vegetarian lunch, the cassoulet couldn’t have contained more types of meat! Baked to crispness and hearty to its core, it is dishes like this that makes winter so enjoyable. 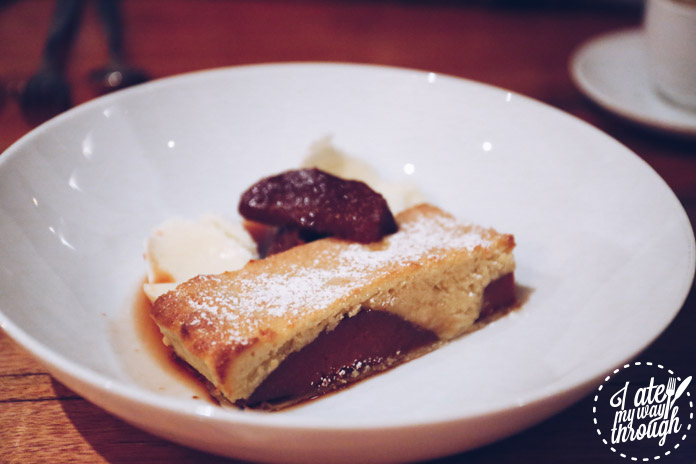 We shared the roasted quince and almond tart ($14) for dessert and it was a great way to finish off a wonderful meal. Roasted quince develops deep flavours when roasted and this was the perfect way of showcasing the perfumed fruit. 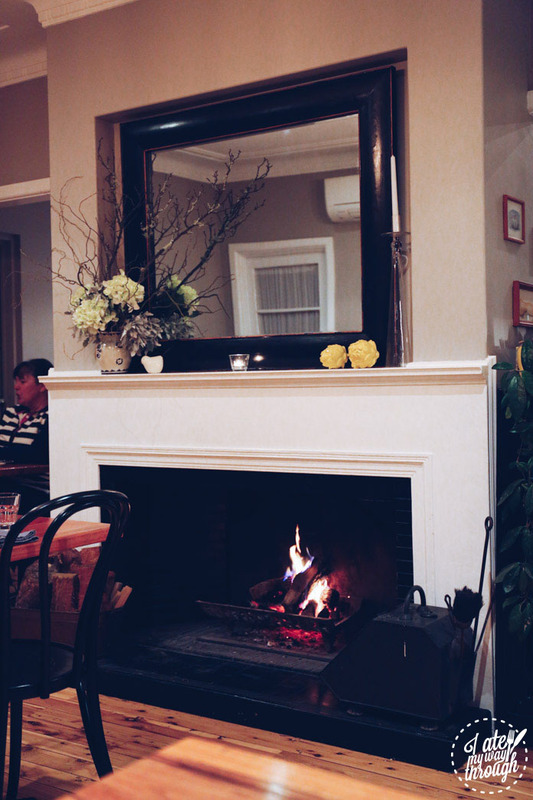 As we walked out, Jen and I both agreed that Clementine Restaurant is a Sydney quality restaurant with country charms. Although its history is short, we are sure it will have a long history ahead. After an epic day one at the Murrumbateman wine region enjoying some of Australia’s finest wine and food, we hit the bed at The Globe Inn in preparation for the next leg of the adventure to the Snowy Mountains. Part 2 of the beginner’s guide to the Snowy Mountains will take you to our first stop of the Snowy Mountains at Thredbo.